I love Tuesday! 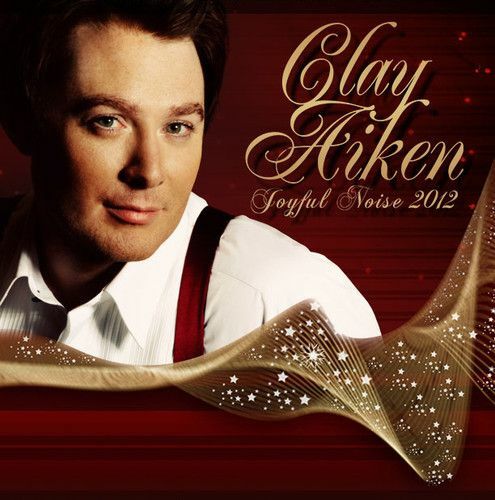 Today there are two new interviews with Clay Aiken. You probably recognize Clay Aiken from his stint on American Idol almost a decade ago; though Aiken was the runner-up to season two’s Ruben Studdard, he quickly developed an intensely dedicated legion of fans known as “Claymates.” And Idol was only the beginning for Aiken; since the show, his career has taken off: He’s released several albums, authored a memoir and starred in Broadway’s hit Monty Python’s Spamalot. This Saturday, November 24, Aiken visits Sarasota and the Van Wezel Performing Arts Hall as part of his Joyful Noise 2012 tour; we spoke with him by phone. To read the seven questions and the wonderful answers, visit SARASOTA Of course, be sure and leave a comment to let Megan know that articles about Clay Aiken are well-received. How many sweaters do you pack for a tour like this? (laughs) A whole bunch. This year, though, is a no-sweater tour. It’s a suit tour. But we’ve done a few. It’s about four suitcases’ worth. This article has lots of information. Click on TAMPABAY and then, if you sign up you can leave a comment! Please check back…I will edit this article if other articles or interviews are posted today. Check for the red alert at the top! I love reading these interviews. I would love to see Clay dancing around his house, singing his heart out! Great mental picture! Musicfan…love that you get things up so quickly! Thank you! Yes, you are very appreciated!! Error: Error validating access token: Session has expired on Tuesday, 21-Aug-18 16:13:01 PDT. The current time is Wednesday, 24-Apr-19 05:59:48 PDT.